MELK has previously been found to be overexpressed in many cancer cell lines. However, new research shows that MELK is not required for cancer growth. Researchers at Cold Spring Harbor Laboratory (NY, USA) have found that the association between cancer and the maternal embryonic leucine zipper kinase (MELK) is undermined by flawed scientific processes. 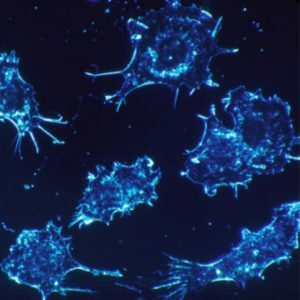 Their report, published in eLife, suggests that MELK expression does correlate with tumor mitotic activity but is not required for cancer growth. Sheltzer’s lab has been using genomic analysis to identify highly expressed genes in patients with cancers that have low survivability rates. They then utilized CRISPR to remove these genes in an attempt to kill the tumor cells. Like other labs they found that MELK was a candidate. "Like other labs, we found that MELK tended to be very highly expressed in patients who did not survive very long," Sheltzer said. Based on the work of previous researchers, they attempted to use MELK as a positive control for their experiments. They were certain that when the MELK gene was removed, the tumor cells would be killed and they could be sure their technique was working. “But, to our great surprise, the cancer cells didn’t die. They just didn’t care,” Sheltzer commented. The team performed different tests to validate their methodology and finally concluded that the previous assumptions about MELK’s role in cancer had been wrong. Sheltzer believes that off-target effects, such as RNA interference, may be responsible for generating this fundamental error.